This is my piece for the upcoming FanBoy vs. ArtBoy show @ ArtBoy Gallery in Prahran, Melbourne. 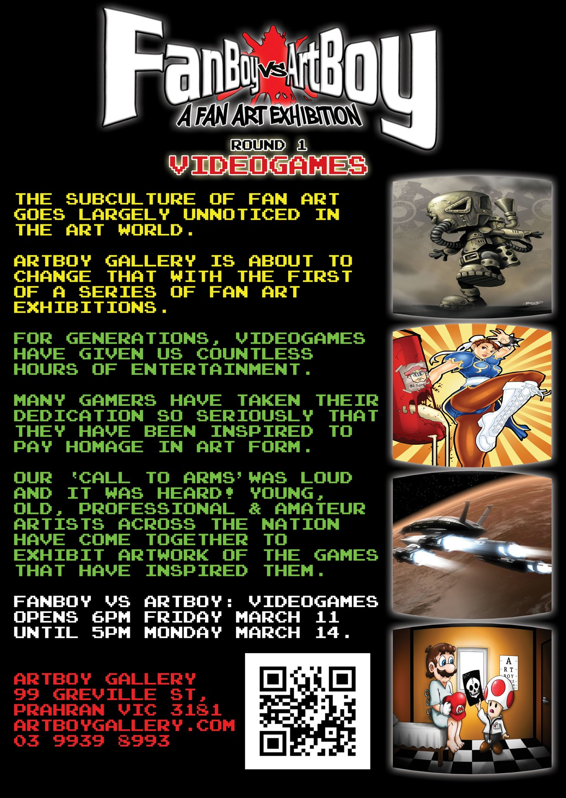 If you are in the neighbourhood get along to check some awesome video game inspired art! Show opens this Friday, see the flyer below for all the deets. 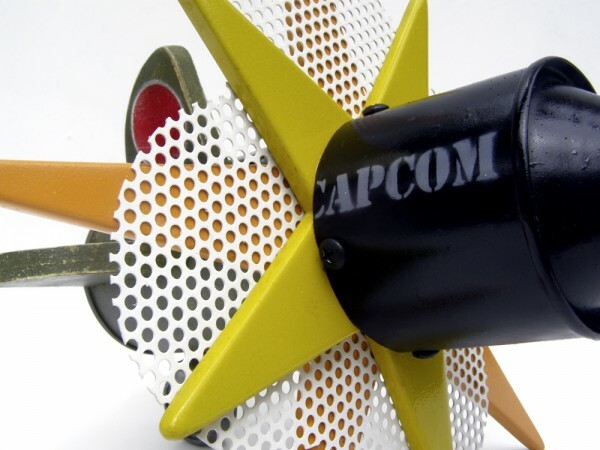 This sculpture titled “19XX” is inspired by the classic WW2 shoot ’em up series 19XX released by Capcom – which includes the games 1942 (1984), 1943-The Battle Of Midway (1987),1943 Kai-Midway Kaisen (1988), 1941-Counter Attack (1990), 19XX-The War Against Destiny (1995) and 1944-The Loop Master (2000). Australian artist TEZ is an all rounder, his art spans across an array of mediums including painting, sculpture, ceramics, screen-printing and vector illustration. 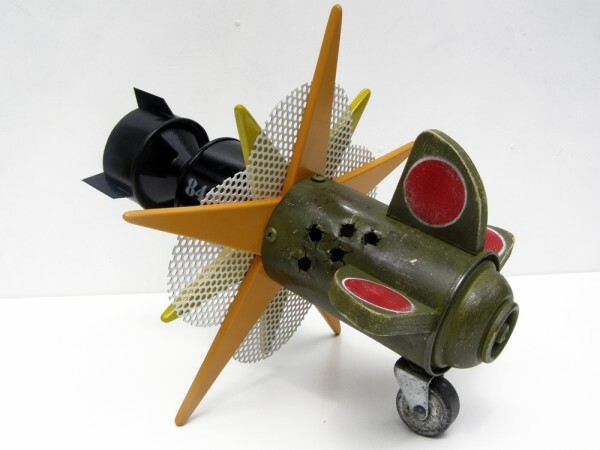 Much of his work comprises of a combination of these mediums and often incorporates recycled materials and found objects. TEZ unveiled his debut solo exhibition “Sure Ain’t Sushi” at Sydney’s China Heights gallery in late 2009. 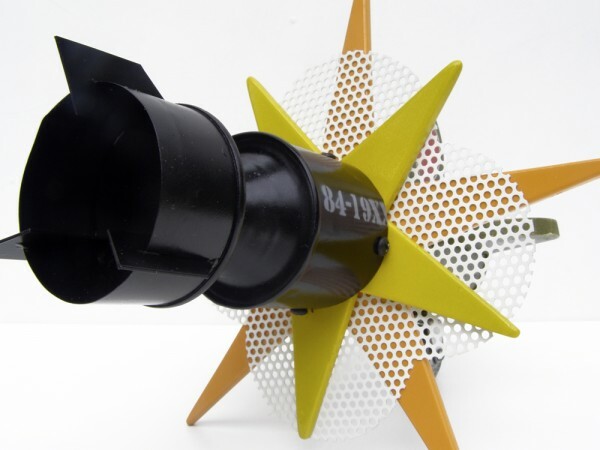 He resides in his “fibro castle” on the New South Wales Central Coast and more often than not can be found in his shed creating his next fresh piece or just plain old tinkering.